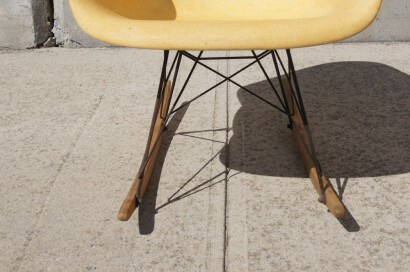 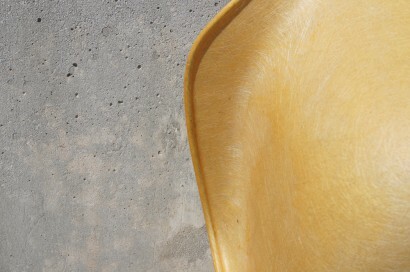 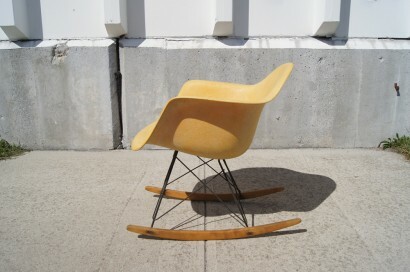 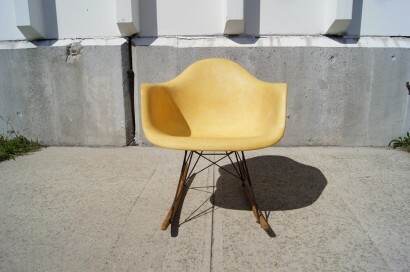 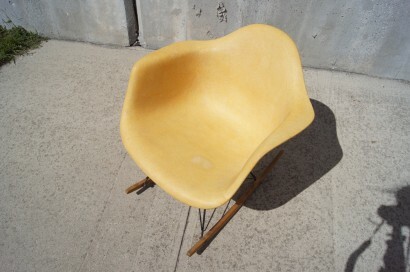 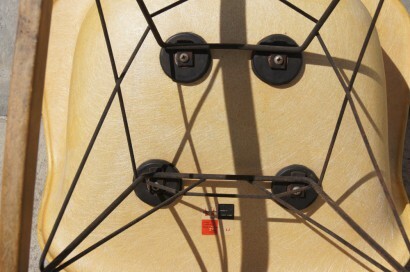 This early rocking chair, the RAR, was designed by Charles Eames and manufactured by Zenith Plastics for Herman Miller. 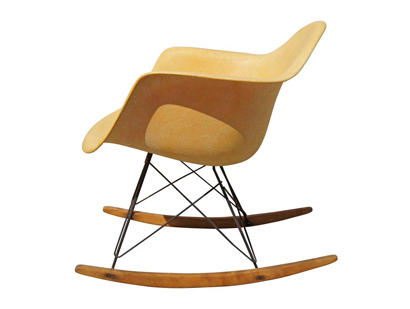 The rope-edge fiberglass shell, in a warm parchment color, sits on a black metal base with birch rockers. 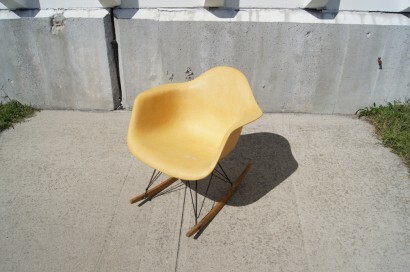 The chair is in excellent condition, with the original label intact.